Gary Vasey is a prolific writer and has been a friend of mine for a long, long time… and the birth of that friendship in itself is a very strange story. We co-authored The Mystical Hexagram many years before we finally met and recently released an extended edition of the book. Gary’s latest release is now available on Kindle… you can read one of the stories here. The Pink Bus and Other Strange Tales From LaLa Land is a set of magical vignettes and short stories that explore what we are, who we are and why we are here. These are the fundamental questions of existence and although, I don’t have the answers, I do have a few ideas! 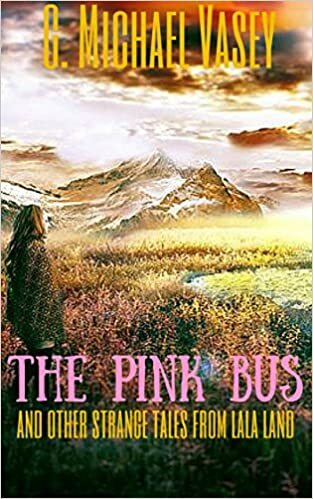 Grab your ticket to ride on The Pink Bus on its reality tour through LaLa Land; that magical world of the active imagination. There you will meet a host of characters exploring reality. You will share The Meaning of Christmas with Phillip, follow the clues and join the dots of life with Michael, Face the result of your own actions with Eric, know what it could be like to see your future, and much more. Pretty much everything I write from the words thrown at paper that I call ‘poetry’, through my books on magic, to my fascination with the supernatural is centered around the thesis that we can be so much more than we are; that we can and do create our own world and perceptions of it. Yes, I DO believe in magic and magic is founded in the imaginative faculties. Our self–expression through art and writing for example, helps us to learn about who and what we are. We are magnificently complex beings with the facilities to do so much more than just dream our way through life directed by fear, religion, convention and other rules designed to keep us asleep. We are magicians that can, with practice and perseverance, develop superhuman capabilities. It all starts with the imagination however. Stop for a moment and consider this. Everything that you see, hear and sense is actually your imagination at work. You cannot and do not interact directly with your environment (which we are told is mainly empty space filled with particles like atoms, electrons and so on). No, your consciousness acts as an intermediary and builds pictures and perceptions for you according to the way that you see the world. In a certain way, there is no difference between what you ‘imagine’ to be the world that you live in and that daydream you just had. So imagine if you could imagine differently? You could change your world……. Imagining differently starts by breaking down who you are. If you look at yourself critically, you are what you were taught to be. You are what your culture accepts in a person. You are what your parents, family and friends need tell you to be. Is that who you are? Start to deprogram yourself and find out who you really are. That’s the celestial game you have been invited to play. There are NO rules except those that you make for yourself. Imagine your way to being the person you should have been. Break free! Grab a ticket to ride on the Pink Bus and take a tour through glimpses of different realities. You never know what you will find there. G. Michael Vasey is a Yorkshire man and rabid Tigers (Hull City AFC) fan that has spent most of his adult life lost deep in Texas and more lately, in the Czech Republic. While lucky enough to write for a living as a leading analyst in the commodity trading and risk management industry, he surreptitiously writes strange poems and equally strange books and stories on the topics of metaphysics, occult and the paranormal on the side, hoping that one-day, someone might actually buy them. After growing up experiencing ghosts, poltergeist and other strange and scary experiences, he developed an interest in magic and the esoteric. These days he fancies himself as a bit of a mystic and a magician to boot. Most of his inspiration for his scribbling comes from either meditation or occasionally, very loud heavy metal music. 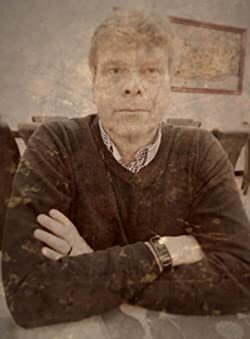 He has appeared on radio shows such as Everyday Connection and X Radio with Rob McConnell to tell strange and scary stories. He has also been featured in Chat – Its Fate magazine and interviewed by Ghost Village and Novel Ideas amongst others. He blogs addictively at garymvasey.com and he tweets micro thoughts at @gmvasey. He also reviews a lot of very weird books at strangebookreviews.com and shares true stories of the paranormal at www.myhauntedlifetoo.com. Find Gary’s books, ebooks and audiobooks at his Amazon.com and Amazon UK Author pages. This entry was posted in Books, Friendship, mystery, writing and tagged G. Michael Vasey, Gary Vasey, magic, nature of reality, paranormal, psychic, supernatural. Bookmark the permalink.